Pilates classes for all abilities with Chartered Physiotherapist. I aim to create a friendly, encouraging and supportive Pilates class, that will leave you feeling energised and able to move with confidence, whether it is chasing after your kids, or running that first half marathon! Or perhaps it’s just a sense of wellbeing that you need – taking an hour out of your week, just for you. I have a little girl of my own, so I know all about the physical, mental and emotional highs and lows! Pilates has many well documented benefits including strength, posture, flexibility, relaxation and stress relief. Come along and experience the benefits of Pilates for yourself – you deserve it! Private 1-to-1 and small group bookings also possible. 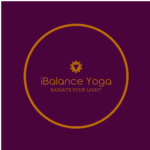 iBalance Yoga classes with Denny are based around Hatha yoga principles of postural movement and alignment with breathwork, bringing peace and stillness to the body and mind. Encompassing a holistic approach to living with yoga and meditation Denny believes these are the most effective tools to establish a feeling of well-being and a grounded sense of self-knowledge. Making a weekly commitment to attend classes will allow you to enjoy the full benefits of yoga and observe the positive changes it can bring to your life. This is the perfect time to take up an enriching practice as you enter a new chapter of your life. Enjoy a gentle and relaxing pre-natal class allowing you time to support and explore the changes in your body throughout pregnancy. Denny’s class focus is supportive with slow stretching movements and breathwork designed specifically for pregnancy. Radiate your light and shine bright. Hi my name is Sarah Owen, Im a Mother of 4 children and run a successful business in:. 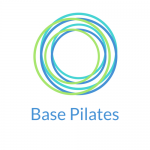 I work with clients on a 1/1 basis in my private Gym and also run Pilates classes throughout York. My Aim is to Educate you into my world of fitness/Correction work to give you as much knowledge as possible, and to help you succeed in the future. Ive worked with many people in many different Professions who i have helped greatly. Sessions beneficial for babies (0-6m) and parents too. These calm and peaceful sessions are designed to give space to interact with baby but also just to hold and bond. Gentle stretches and strokes for baby to relax, song/movement and sensory play to stimulate and interact and aid development. Breathing exercises and listening to a lovely baby friendly guided visualisation help relax mummy or daddy too. Sessions for 5-11’s to explore emotions and learn skills to aid relaxation and manage these emotions and build self confidence. There are different themes every half term…the new theme will be ‘Happiness Adventures’. The sessions incorporate fun games, yoga based stretches, self/peer massage, breathing exercises, positive self talk and affirmations and listening to visualisations/meditations with a fluffy blanket! These sessions will help children how to beat test and exam stress. To give tools and techniques to keep calm, concentrate,reduce anxiety and have self belief. Sessions designed to help young people understand the brain, how it reacts to anxiety, anger and other big emotions and how relaxation techniques can benefit and help manage with these feelings and emotions. Covers stress relief/emotion management, identity, healthy sleep and mindfulness. Take time and space to experience relaxation and explore elements of mindfulness. Learn some tips and suggestions for how can calm down that busy brain when at home and work. Our centre is a focal point for all things pregnancy and baby – we have the best pregnancy and post-natal classes in York (we have won the Little Vikings Best Pregnancy Class award for the last 3 years running), we also run birth preparation classes and hypnobirthing courses, and host baby massage, and the home birth support group. Sophie is an experienced birth doula and mindfulness teacher, and Alison is a Women’s yoga specialist and mentor. Fran (currently on maternity) is one of the most inspiring teachers you’ll ever meet. We have taught pregnancy and post-natal yoga to thousands of women over the past 15 years. There are several reasons why we have such a great reputation: our classes feature evidence-based discussions helping you make informed decisions – we are big supporters of women’s choices around birth – and our post-natal classes lead to long lasting friendships (as well as tea and cake!). Booking and pre-payment required for all classes. Possibility to swap days and make up missed classes. These Classes are a fantastic place to come and enjoy a good stretch with some flowing Yoga movements. They are wonderfully beneficial for creating a sense of well-being while helping you feel comfortable with your body, while pregnant. We will enjoy some deep breathing with specific breathing techniques for birthing. Pregnancy Yoga is a great way to stay active while staying flexible & mobile throughout. Birth preparation will run alongside the weekly classes. I also run a weekly Postnatal/ Mummy and Baby Yoga class on Monday afternoons. I am a 700 hour qualified teacher & trained directly under Swami Vidyanand in India. I teach this beautiful practice in the York area offering lots of love, fun, stillness & that precious time for you. £35/hr (£40/hr from your home). Go deeper in your practice or a gentle introduction to yoga.. whatever it is you need from the practice. My classes are suited to all abilities & mats can be provided. £8.50 for a drop in class or £35 for a pre booked block of 5 classes. Yoga For Modern Life is a specialist in yoga for fertility, yoga for pregnant women and yoga for mums and babies. Classes are friendly, relaxed and down to earth – using yoga as the perfect antidote to the stresses and busyness of pregnancy and motherhood. We also have brilliant Birth Preparation and Hypnobirthing courses, and help mums and baby’s connect through loving touch in Baby Massage classes too. All this is to help empower women to have a positive and confident pregnancy, birth and motherhood. 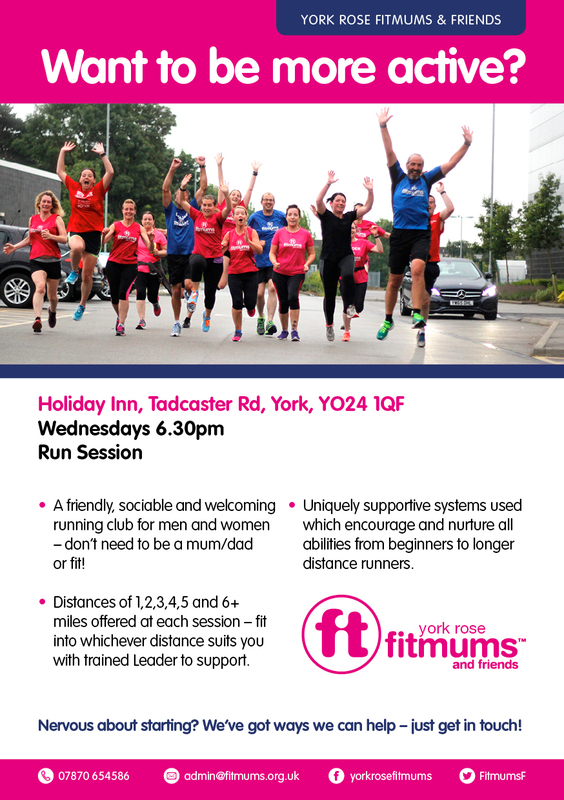 Everyone is warmly welcomed – regardless of fitness level, age, shape or size. In a busy world take some time to reconnect with yourself, and with your baby. One to one and bespoke yoga, hypnobirthing and baby massage classes are also available. 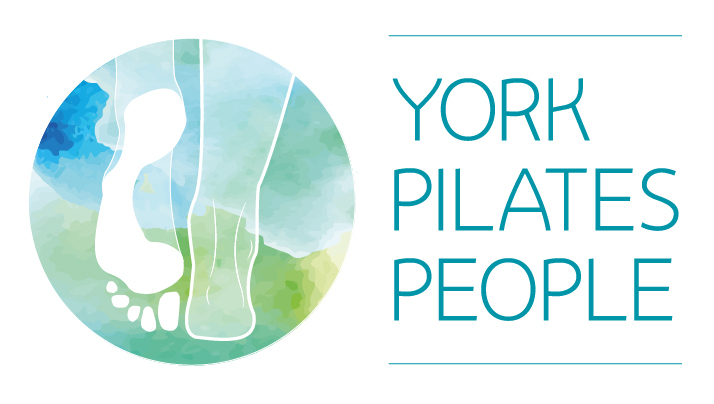 York Pilates People is a bright and spacious new studio in York’s city centre, offering a wide variety of Pilates classes taught by Louise Fellows. Our timetable includes classes from 7:30am til 8pm, for beginners, intermediates, pregnancy and post-natal women. Post-natal Pilates – Babies welcome! This class is adapted to ensure that you exercise safely after giving birth, taking to account the stress that your abdominal muscles have undergone. Pelvic floor tone is subtly regained through postural awareness and low-impact exercises. Babies aren’t actively involved in the class, but there will be space for them to stay beside you as you exercise. The family-friendly Daughter cafe (on the ground floor of the same building) have kindly agreed to provide space for buggies and use of the baby changing facilities. Fridays 12pm. We have classes running Monday-Sunday daytimes and evenings, with Free Fit Camp, CobraFIT, HIIT, Metafit and Yoga as well as free wellness profiles and body composition analysis and nutrition advice and support. Fit Camp is free. Other sessions are £4 or £5 with incentives such as discount for buying a block of sessions and bring a friend your class is free. If you are looking for a friendly supportive environment to get fit and healthy come and try Level 10, we are all about healthy active lifestyle for all. Calling all busy mums looking for Group Fitness Classes or Personal Training. Small more personal classes, Fun Exercise, 30 min, 45 min and 1-hour classes/personal training available on mornings and evenings ensuring you can fit in your exercise without impacting on your family time. For Mums with Babies/Toddlers under 4 Years we offer our Mum & Bring Baby/Toddler Fitness & Pilates Classes, workout for Mum & supervision for baby/toddler in a sectioned off area in the same room. Mention Mumbler Offer: Contact us to claim your FREE trial class and find out how yoga can help you! Pre and Postnatal Pilates Classes – with Stott Pilates teacher Claire Maplethorpe Eames. Knavesmire Children’s Centre 12.15 – 1.15pm Mondays. Private lessons are available on request on a 1-2-1 or friendship group. For improving your core strength, which makes you feel lighter and leaner. An hour of pilates helps your feel better in yourself and in your body and mind. Cost: £7.50 casual or pay upfront for the term and it’s £6 per lesson. Please bring a mat and wear comfy clothes. All levels are catered for from beginners thru to advanced . Private 1:1 or 2:1 classes can also be arrangedsubject to availability during daytime hours from £30ph within the ring road,block booked discounts also possible. 16 classes a week and growing at our amazing new studio near Nether Poppleton. This is yoga for the people; we don’t take ourselves, or our yoga, too seriously. You’ll laugh, sweat, connect and really feel the bliss. Whether it’s your first class or hundredth class, join us and become part of The Revolution. Your first class is FREE! Just quote ‘MUMFREE’. Join us with your child (aged 5 – 13 years) as we encourage compassion for ourselves and each other with nature-inspired activities, meditation and craft. Monthly on a Sunday 1-2pm at Pocklington Scout Hall. Helping you achieve your goals with yoga and fitness at our beautiful studio at 5a South Lane Haxby YO32 3DJ. Small classes = great results! Yoga & Barre for all levels. Yoga for all abilities at the peaceful Old Granary, Riccall Grange just over 10 minutes from the Designer Outlet. Daytime, evening, weekend and yoga for new mum’s available. Pay as you go OR bulk payments options available. Please see Facebook ‘Wheldrake and Beyond Yoga’ for all the details.